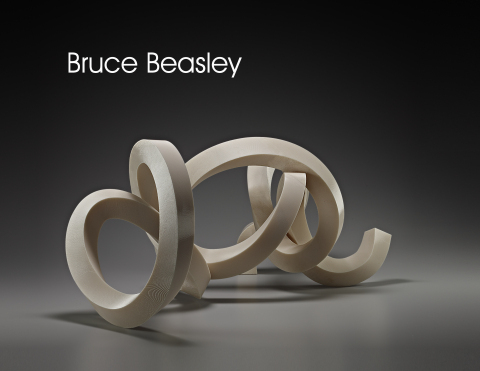 SAN FRANCISCO — (BUSINESS WIRE) — October 30, 2013 — Autodesk, Inc. (NASDAQ: ADSK) collaborates with world renowned sculptor Bruce Beasley, to launch a new solo exhibition of Beasley works collectively titled Coriolis. Bruce Beasley’s signature bronze environmental-sized sculptures are well-known and collected globally by major museums, including the Pompidou in France, the Guggenheim and Museum of Modern Art in New York. In this show Beasley combines the artist’s creative vision and a five decade career at the top echelons of fine art with cutting edge Autodesk technology, to produce 3D printed, software-enabled sculptures that are expected to revolutionize the way in which digital technology interacts with aesthetics. The show will be featured at the Autodesk Gallery in San Francisco from October 29, 2013 until February 7, 2014. For the last 30 years, Beasley has produced internationally recognized computer-assisted sculptures whose fine art repute has been well established in the international art world by virtue of aesthetic sophistication and a willingness to extend the boundaries of imaginative technology. Using 3D printing for the first time to actually “sculpt” his final artwork, Beasley legitimizes the medium as a genuine art form. Pioneering a revolution in the fine art sculptural process, Beasley’s latest Coriolis series uses Autodesk software—Alias, 3dsMax, and Inventor—to model works; then a state-of-the-art 3D printer responds to the subtlest digital calibrations envisioned by the artist, building up detailed ribbons of liquid plastic in ascending tiers that realize Beasley’s complex expressive ideas. In 2008, Autodesk previously sponsored the Digital Stone Exhibition, which showcased Beasley along with three other sculptors who use 3D software as part of their artistic process. Autodesk has chosen to partner with Beasley once again in this solo venue, premiering his newest sculptural venture and illustrating both the firm’s and the artist’s mutual commitment to exploring the rich interactive boundaries between creativity and technology. Bruce Beasley and his Coriolis exhibition will also be featured during December’s Autodesk Design Night at the Autodesk Gallery in San Francisco. For more information on the Autodesk Gallery, please visit: http://usa.autodesk.com/gallery/. Autodesk, Alias, 3ds Max and Inventor are registered trademark of Autodesk, Inc., and/or its subsidiaries and/or affiliates in the USA and/or other countries. All other brand names, product names or trademarks belong to their respective holders. Autodesk reserves the right to alter product and services offerings, and specifications and pricing at any time without notice, and is not responsible for typographical or graphical errors that may appear in this document. Emii Releases Music Video for A/C and Pop Hit "Leaving You Behind"
David Giannetto Releases Second Book: "Big Social Mobile, How Digital Initiative Can Reshape the Enterprise and Drive Business Results"